Coconut Flour – Rainbow Foods (Pvt) Ltd – Exporting Tuna & Other Sea Food Products World Wide. Rainbow Coconut Flour is made with the coconut kernel without its brown skin; a bi-product of Virgin Coconut Oil. It is finely ground using a high-speed grinder to make it into powder form. 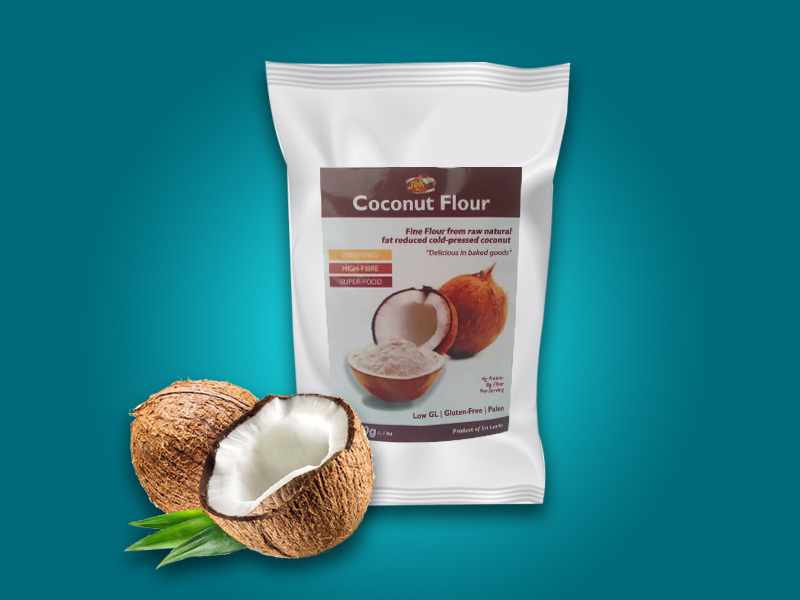 Our flour is cream- coloured, has a soft fine powdery texture and adds a hint of coconut aroma and taste to your baking. It can be mixed with wheat flour to enhance the taste of food. High Fiber content, low in carbohydrates, with over 90% of coconut oil is composed predominantly of heart healthy medium-chain fatty acids (MCFA), also known as medium-chain triglycerides (MCT); of which, more than 56% is Lauric acid. A good source of protein.